Our philosophy has always been one of innovation, incorporating the latest technology whilst maintaining strength and reliability for each horsebox model we manufacture. 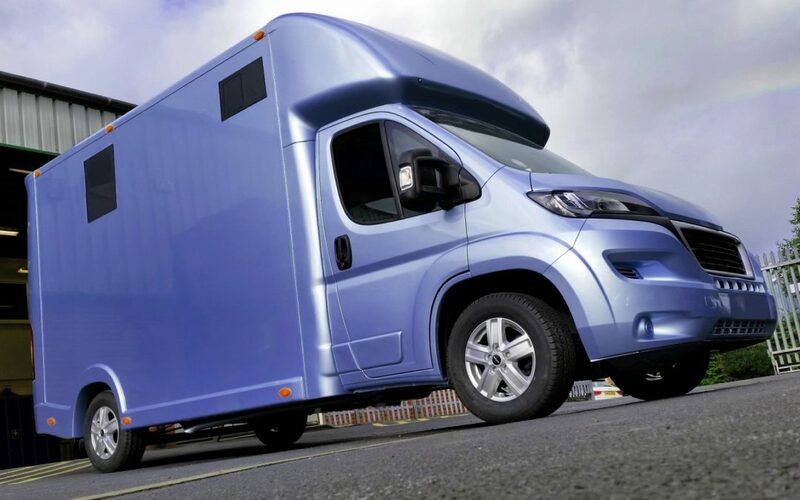 For KPH, innovations are not sales hooks or gimmicks; they are design features that must be of benefit to our horseboxes, customers and their horses. Many of these design features are hidden away behind the scenes and just quietly working in the background. An example of this and how we are leading through innovations are our full solar charging systems fitted as standard to all models. From the very start we have embraced this technology and could clearly see the benefits for our horsebox models. We introduced solar charging over ten years ago to solve the very specific problems horsebox owners were encountering, i.e. flat batteries from days or weeks of inactivity. In the past we had fitted battery isolators to all models, however, some of the modern chassis introduced computerised systems that cannot easily be disconnected. To counter this new development we designed and thoroughly tested a solar charging system, then integrated it into both the Helios and Aeos horsebox models as part of the standard specification. The system not only charges the auxiliary batteries, it also charges the chassis starting batteries, thus taking away the worry of none starting on the important days! The KPH solar system including the panels and charge regulator are not just tokens to tick boxes, but rather they are complete charging systems, powerful enough to run all the LED lights, fridges and living equipment. The solar panels are so efficient they charge even on the dullest of days, keeping the batteries topped up all year round. The solar controller features the latest PWM charge regulation for reliable and economical battery charge control and they include over charge protection. Since the introduction of LED lights (light-emitting diodes) we have included them into our Helios and Aeos horseboxes. They use a fraction of the power of conventional lights and in addition, they benefit from long service life, as there are no bulbs, just diodes. The LED lighting works hand in hand with our solar charging system helping further reduce our carbon footprint.